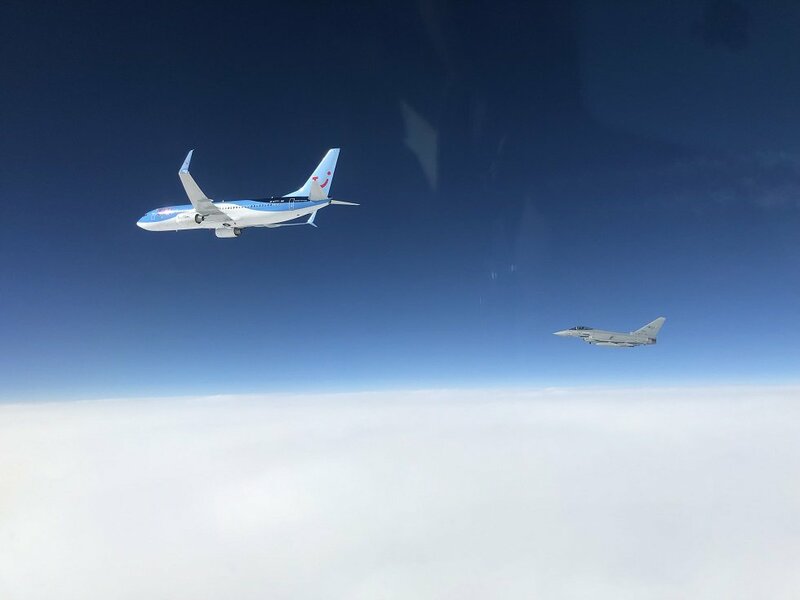 Two Eurofighter fighter jets, of the Italian Air Force, intercepted a civilian plane that lost communication with the civilian air traffic control over Croatia and headed south to Montenegro. This is the first time NATO aeroplanes have been launched to carry out a mission to protect the airspace over Montenegro, the statement from the Alliance said. Italian planes were launched Tuesday from the Gioia del Colle airstrip, some 20 kilometers south of Bari, according to order from the NATO Combined Air Operations Center in Torrejón, Spain. “Two Eurofighter planes capable of protecting NATO’s airspace over Italy, Albania and Montenegro, under the auspices of the Alliance, successfully intercepted the plane just minutes later”, the statement said. It is added that Eurofighter pilots performed a visual inspection of the aircraft to exclude any possible illegal actions, technical, or other issues. It was found that the loss of communication was associated with a misunderstanding between the civilian air traffic control and the crew of the airplane. As reported, after continuous regular contact with civilian controllers, the plane continued to travel to its destination in Hurghada, Egypt. “The Army of Montenegro, on April 9th ​​morning, received announcement from the NATO United Aviation Operational Center, in Torrejón, Spain, on the arrival of a passenger plane B-737 into the airspace of Montenegro from the direction of Bosnia and Herzegovina, which had lost radio connection with the Zagreb Control Board”, the Montenegro Ministry of Defense said in a statement. VOC contacted the Airport Control of Podgorica and, as the Ministry said, received information that they had communication with all aircrafts, including the B-737. “In the meantime, as the procedure stipulates, two Italian Eurofighter, responsible for the protection of the airspace of Montenegro and Albania, were activated, for the sake of interception and visual identification, as a precaution”. Italian fighter jets, as was reported, made the interception over the airspace of Albania and identified the aircraft. “The B-737 passenger plane did not jeopardize the safety, as communication with the competent air traffic control unit was conducted smoothly in the airspace of Montenegro”, the statement said.